As we continue to expand and grow our business, we continue to support the younger generation in offering apprenticeships within our group and across the industry, This is a great way to start a career in the construction section and provides the opportunity for young men and women alike to choose from a number of trades. Apprentices are placed with a mentor enabling knowledge is handed down to the next generation, which is proving to be a great success. 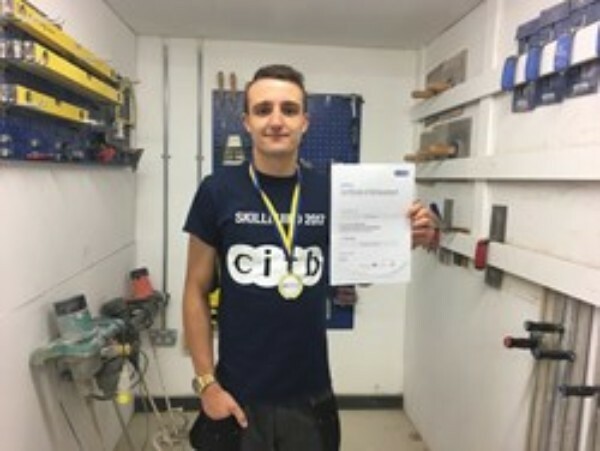 Our 20-year-old Level 3 NVQ Plastering Apprentice Cory Bruce, has secured first place in the Construction Industry Training Board (CITB) Skill Build 2017 senior competition at Leeds College of Building. Cory, who studies at Northumberland College’s Ashington Campus, competed against other colleges from across the North securing a spot in the National finals, and thereafter came first in the senior plastering heat against other students nationwide. The competition which is organised by CITB, has been running for more than 45 years and sees the very best in construction talent compete against each other to be crowned the Skill Build winner in their chosen craft occupation. Prior to the competition, organisers request competitors to cut out a panel mould, which is used for the duration of the heat. Competitors are allocated six hours under exam conditions to the create a specific decorative housing piece, using their pre-made profile. Cory said “Coming first in this competition has given me a lot of confidence. The course i am currently doing at college has provided me with the advanced skills to be able to take part in such a competition, whilst also developing my employ ability skills for going forward within the industry. Sam Mitchell, Apprenticeship Officer said: “Cory has been an exceptional apprentice from day one of his apprenticeship; with an infectious passion and enthusiasm for his trade as well as being extremely conscientious, determined and demonstrating excellent skill. Cory is excelling in college and on site and is without a doubt one of the best apprentices that I have worked with to date, he is a credit to CITB, Northumberland College and his employer and should be proud of his accomplishments so far. 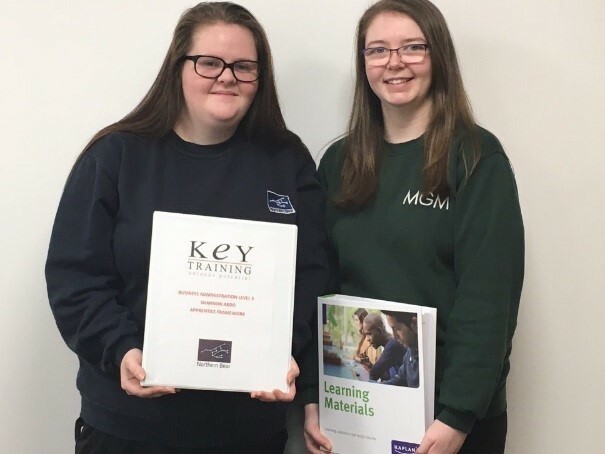 Further investment as part of our staff’s professional development are achievements from Nicole from our Accounts Team who is currently studying for her AAT Qualification and about to begin Level 4. Shannon our enthusiastic Admin Apprentice who has completed Level 2 of her qualification pushing forward to Level 3.